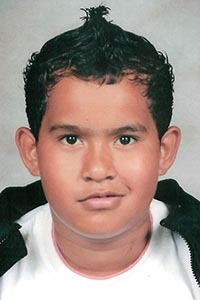 Big Island police are searching for a 14-year-old Hilo boy who was reported missing. Cyrus Abiley was last seen May 31. He is described as part Hawaiian, 5-foot-6, 155 to 160 pounds with black hair and brown eyes. Police ask that anyone with information on his whereabouts call Officer Edwin Namohala at 961- 2373, or the Police Department’s non-emergency line at 935-3311.